Peter Drucker is considered the father of management consulting and his legendary book “The Effective Executive” is a staple for executives. The book is mainly about how executives must manage themselves to do the most important things well instead of trying to do everything. But what about people in charge of staff? What does it mean to be an Effective Manager? The principal is similar – the Effective Manager must focus on the right things to get the best results. The added complexity is that the Manager is not just responsible for their results; they are responsible for the sum of the results of everyone that reports to them. Therefore doing the right thing means focusing on improving the results of your staff. This is because improving the results of the whole team by 10% is worth a lot more than improving your own results by 10%. In fact being an Effective Manager is really the essence behind the 5 Things That Every Manager Must Do (but aren’t on your job description). Because not paying attention to those 5 things will make everything else harder. 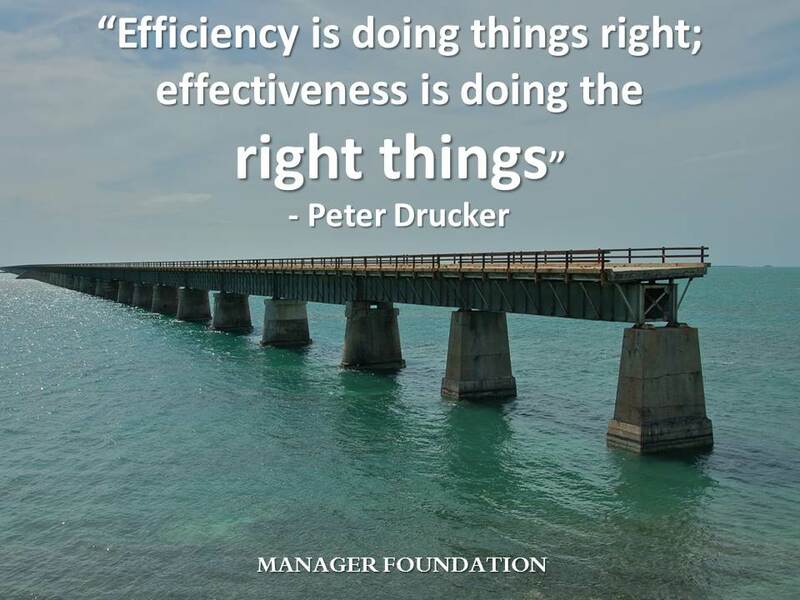 Drucker also said that Effectiveness is a habit and habitual behaviors are what I talk about in the article “What makes an Effective Manager”. But the thought for today is: are you a manager working hard to deliver results? If so, what are you doing to improve the results of your employees and be a more Effective Manager?